« Olé Olé blanket: DONE!!! I love your work. I am a beginner in crochet and I was wondering where you buy your yarn from? Wow…what a riot of colors…fantastic! And I love your cute edging in red. Wow, that border is very cool. I have never seen something like that! Well done. I’ll save the pattern, I really like it, thank you. Your blanket and border are really lovely!! 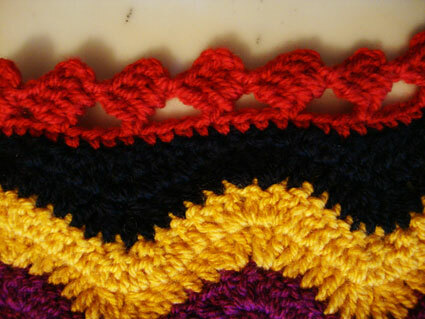 I try the border someday! What a nice border Angie. 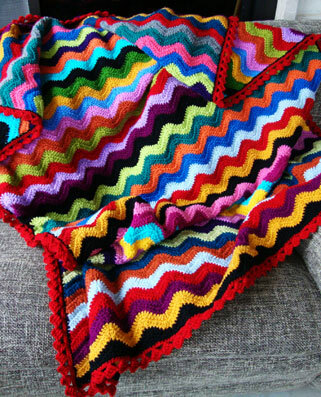 Your finished blanket looks lovely. Do it! Come up with a design, draw it out, put the pattern to pdf (there are tons of tutorials on how to do this)–and then see how many fish bite! Guiaanteed–wrth your over 3000 followers–that you will have a ton of people buy that pattern and get you started on a side-business while pursuing your teaching degree! Hello, your blanket is really lovely and colours so vibrant! I see that like me, you like to work on the border! What a job well done. Gorgeous! 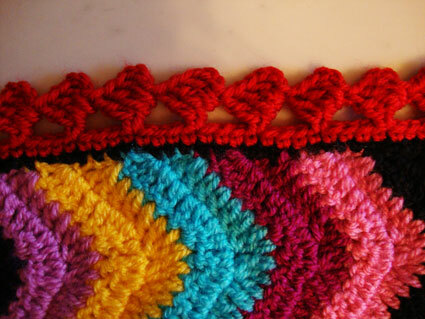 I am making a ripple afghan for my brother’s baby girl and when it is finished I want to put a border on it. Yours looks lovely and your instructions are easy to follow. My question is how do you make a straight edge on the ripple part? 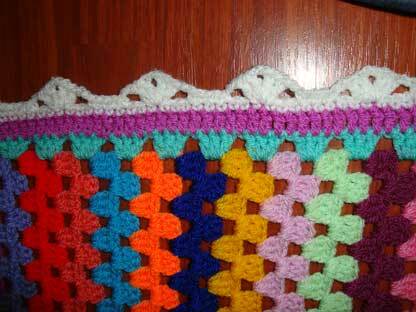 I’ve only been crocheting a few months so I’m not confident enough to work it out myself yet! Looking forward to seeing this pan out…but I'm also worried about the abuse.Why doesn't Google dientrfftiaee between "signed in" and "signed out" search results when discussing changes to SE Result changes? Priya,Happy pooja hals, biriyani looks diffferent.. how many recipes do you have in pipeline.. It is sprouting like a water burst. love to see ur recipes everyday.. take care. merci pour la bordure ! amount of work? I’ve absolutely no understanding of coding but I was hoping to start my own blog in the near future. the media. Moreover, you do not require any type of additional software or tools for watching live online video. skin. ). These have been proved to be safe and effective dermatologically.